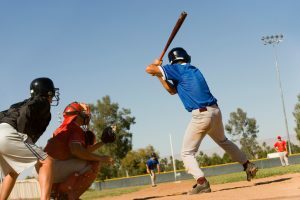 Sadler Sports and Recreation Insurance announces the development of a new insurance program with an A+ rated carrier for Sports Interruption Insurance. This program is customized to meet the needs of amateur elite/travel teams and any other teams with expensive registration fees. Sports Interruption Insurance solves a common problem experienced by both teams/leagues and participants/parents. Registration fees can be expensive for elite/travel teams with registration fees commonly ranging from $1,000 to $10,000. The team/leagues can’t afford to refund registration fees as they count on them to run their operations on an ongoing basis, not to mention the agonizing hardship requests. Participants/parents may be hesitant to pay expensive registration fees due to the risk of missing a large part of the season due to injury or illness. Sports Interruption Insurance provides a surprisingly affordable solution. Teams/leagues can load their registration fees by as little as 1% to 2% for normal risk sports in order to pay the insurance premiums for this critical protection. Participants/parents will barely notice a 1% to 2% increase and this will solve a significant problem. It will also provide sports organizations with a competitive advantage over other organizations that don’t offer this vital protection. This claim example for an injury where a participant misses part of the season will help you see the payout potential. Days absent (45) ÷ days in registration period (122) X registration fees ($2,500) = $922. Rates vary per sport per age group and whether accident only or accident and sickness coverage is purchased. The program is currently available in all states except Colorado, Kansas, Louisiana, Maine, New Hampshire, New York, North Carolina, Vermont and Washington. As usual, our quote and application process is simple. The only information required on the one-page self-rating form is the sport, age group, season start and end dates, total number of participants, registration fee per participant, coverage option chosen, and rate from rate chart. For more information and to get a quick quote, visit our Sports Interruption Insurance page.